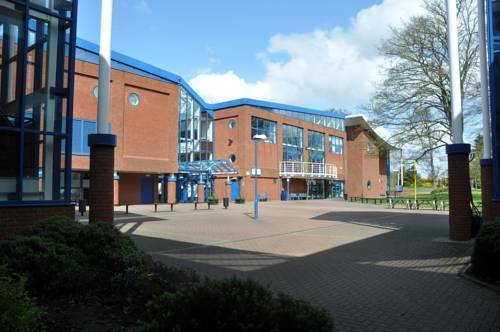 Situated within the grounds of Telford University and just a mile from Telford town centre, Priorslee Rooms offer modern en suite accommodation equipped with free Wi-Fi and free on-site parking. 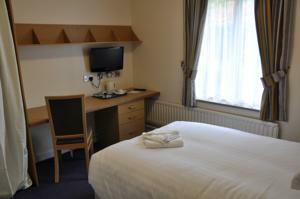 Each room at Priorslee is furnished with wooden fittings and decorated in neutral colours. 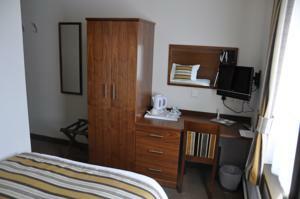 They are equipped with an en suite bathroom and a TV. 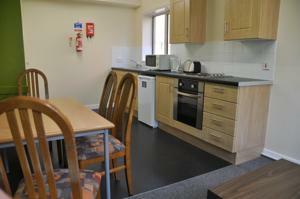 There are washing, drying and ironing facilities in the adjacent block and a cafeteria serving hot breakfasts and food throughout the day. Telford Central Rail Station can be reached in less than 15 minutes by foot. Junctions 4 and 5 of the M54 Motorway are both within 2 miles of the studios. 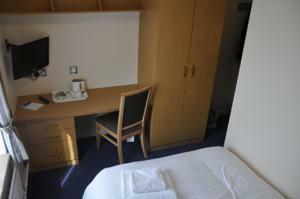 Birmingham city is only 40 minutes by car and Birmingham International Airport is less than an hour away.